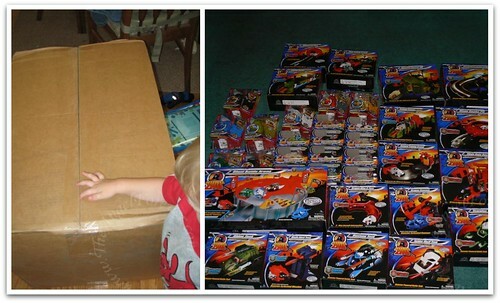 If you have been inside a store that sells toys in the last year, chances are you have seen Zhu Zhu pets. Each of our boys has a Zhu Zhu that they received as a gift from us for Passover. They really enjoyed playing with them, especially on the wide open kitchen floor at Nana and Papa’s house. Soon after this, I was contacted by Mom Select apply to throw a party for the latest in the Zhu-niverse. The trick has been getting kids together for a party. Kind of a nightmare when school is not in session. Since NHL really wants a Kung Zhu party, we will have it on August 22 for family and friends (many more kids in attendance). 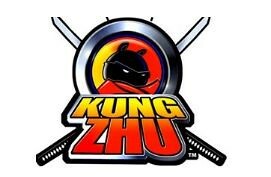 That is the day that we will break out all of the Kung Zhu games and make some Kung Zhu edible critters. For now, we decided to have our own party this weekend. This would allow us to set everything in the Kung Zhu-niverse up, test run items and celebrate JSL’s potty training success. Let me take you on a tour of the items we have. First, meet the Kung Zhu’s themselves. 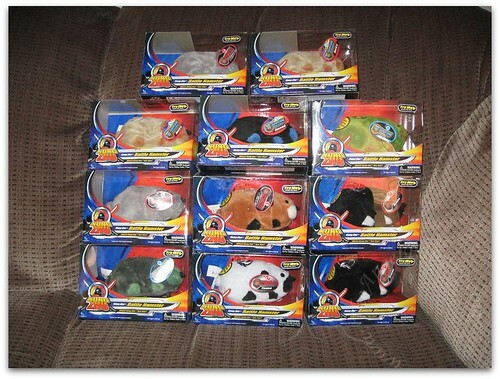 There are eight Kung Zhu hamsters. 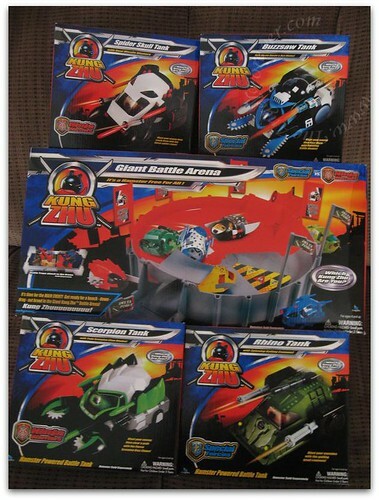 The Kung Zhu Ninjas are Drayko, Yama, Azer and Thorn. The members of the Special Forces are Stonewall, Rock’O, Seargent Serge and Rivet. NHL selected Stonewall (blue) and JSL wanted Sgt,.Serge (green). When these ordinary looking members of the Zhu-niverse put on their special armor, they turn into fighting warriors ready to do battle. Here are the battle armors that are made for each of the eight Kung Zhu’s. 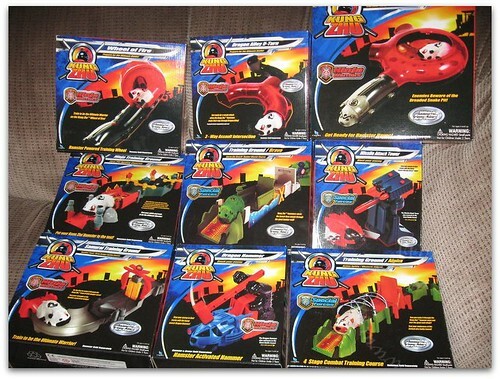 Scorpion Tank and Rhino Tank. Beware: the moving parts on the tanks really catch the eye of little people. . . they will not want to stop playing with these. 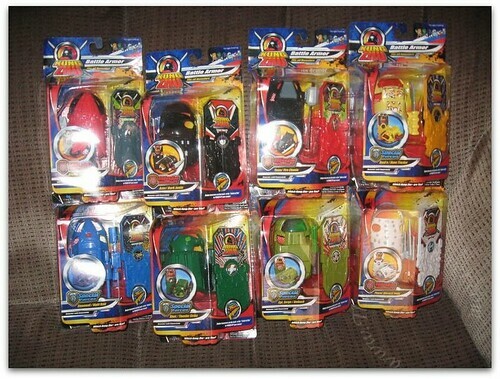 Of course, you must also have your Special Forces HQ and Dojo for the Ninjas. 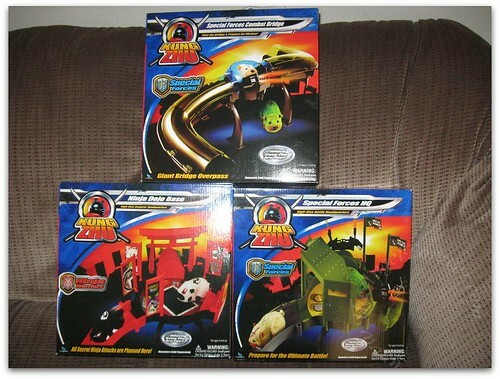 These, along with the Combat Bridge, really help to get things ready for the Kung Zhu hamsters. No Kung Zhu Ninja or Special Forces member can be ready for battle if they are out of shape. To help with this, they have multiple options for training. Individually, TechyDad found that the pieces were not too difficult to assemble. The hardest part of the assembly was making sure that the items worked together for maximum fun for the entire Zhu-niverse. 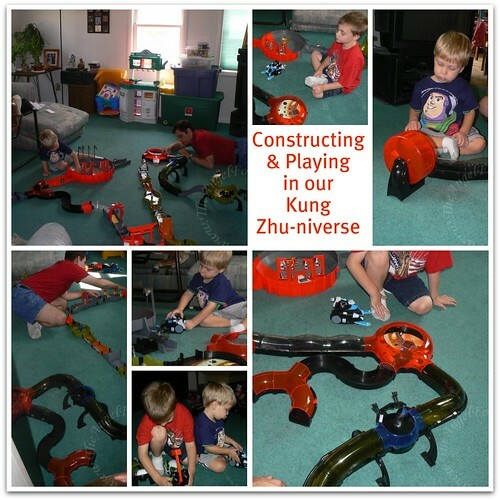 Here are some photos of our mini Kung Zhu Party. NHL especially liked putting Stonewall through his training session. Check out the video of this member of the Special Forces team. As you will see, he is a persistent little hamster that is not intimidated by some bricks. (Please note the laughter from the kids – this will no doubt be a lot louder for the big party coming soon). Of course, JSL had to put Sgt Serge through the process as well. Here is his little guy – note how he comes to attack me at the end of the video. So, there you have it for now. This is just the start of our Kung Zhu party fun. In a few weeks, we will share more of our adventures with you as other children join our Kung Zhu-niverse for NHL’s 7th birthday party. Disclosure: This review and party (part 1 – and 2 coming soon) was made possible by MomSelect and King Zhu. They provided me with all of the items shown above to throw the ultimate Kung Zhu party.The opinions of this review were mine and I received no other compensation. Oh WOW! Our boys would be nuts for this! Fun! omg that would be amazing to recieve!! we love them in our house too!